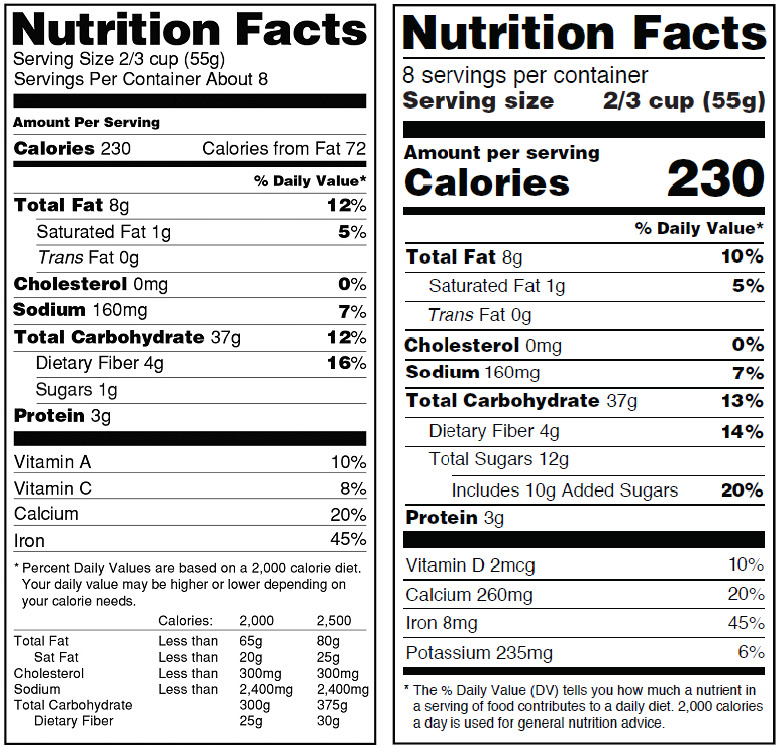 On May 20, 2016, the Federal Food and Drug Administration (FDA) finalized the new look for nutrition fact labels. The new standard reflects numerous studies on the effect of diet on lifestyle and disease. The new labels will put added emphasis on what the FDA feels are more important areas of concentration for consumers. 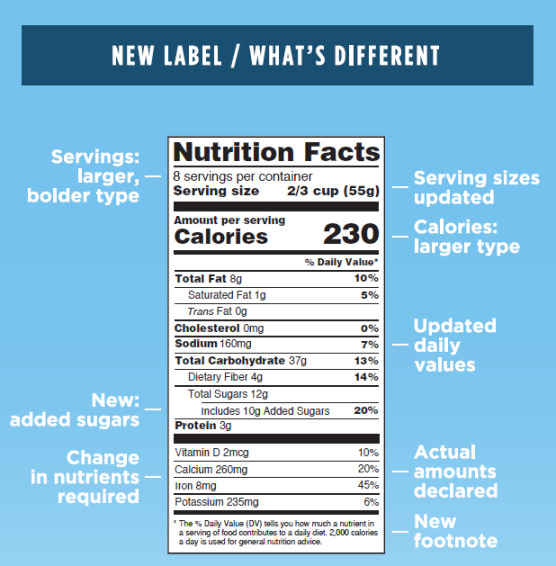 The nutrition fact label updates are expected to take effect across most packaged foods by July 26, 2018. Those with less than $10 million in annual food sales will be given until July 26, 2019 to comply. 2018 Update: The FDA has extended the deadline to comply with new nutrition fact rulings. The new compliance date for manufacturers with $10 million or more in annual food sales is now January 1, 2020, while the deadline for manufacturers with less than $10 million in annual sales is January 1, 2021. All of these updates can be a lot to take in. Especially if you have a pretty well established product on supermarket shelves. Luckily for you, OnlineLabels.com is here to make this an easy transition! We now allow users to generate the "new" nutrition labels in addition to traditional label facts. Several new fields will also be added and adjusted to reflect new health studies. Meaning, the FDA is delivering what they determined is the most important nutrient information during the last few years of research. New information fields include "Added Sugars," updated nutrients and daily values, and more. The breakdown below will give more details into these changes. 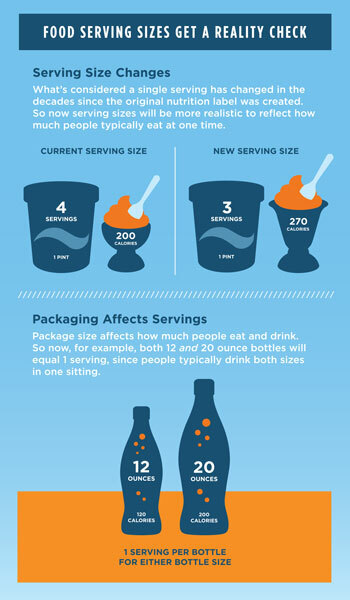 Finally, serving sizes will be changed to reflect a realistic amount of what's being consumed in one package. Consumers have seen serving sizes as misleading in recent years for their unrealistic expectation of what people consume. 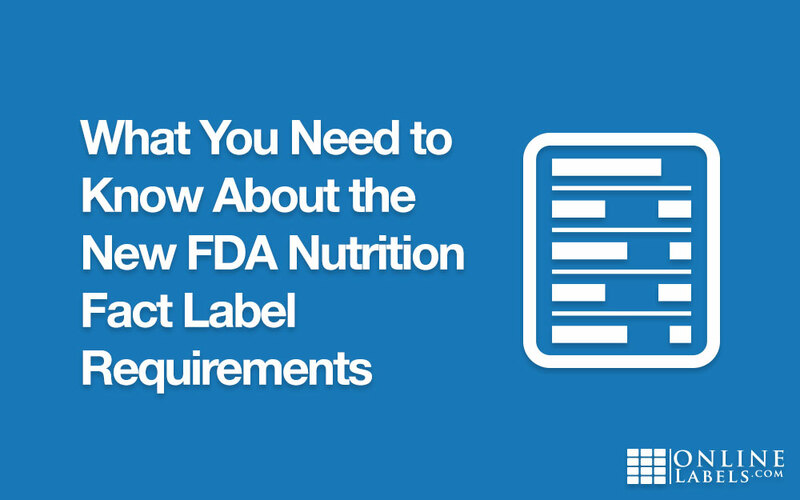 Be sure to check out the FDA website for full details surrounding the nutrition fact label update. If you're ready to make the changes to your packaging, our Nutrition Label Generator is up to date and ready for you to crank out those new nutrition labels! Not sure where to get your nutrition fact information? Learn how to find your product's nutrition content.